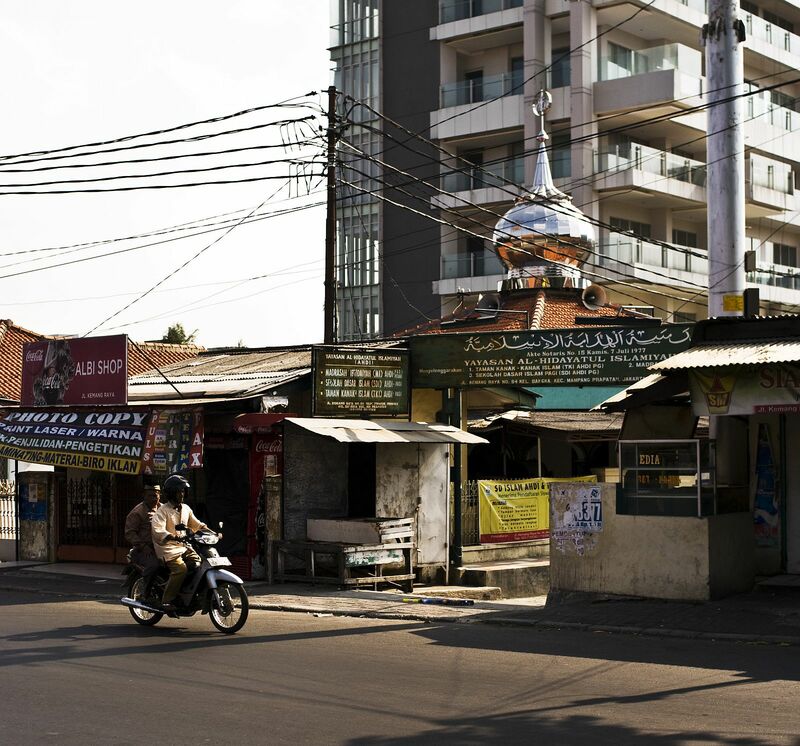 Pretty typical scene on Kemang Raya, the big street near my house in Jakarta. Two guys on a motorcycle. A myriad of shops in the background. A small mosque (masjid). Some construction. Yup. Daily routine right there. This entry was posted on September 14, 2012 by darthbergen. It was filed under Uncategorized and was tagged with Indonesia, Islam, Jakarta, Jakarta Selatan, Kemang, Kemang Raya, Life, Masjid, Mosque, Motorcycles, people, Photo, photography, Photos, Pictures, Random. i feel like i was there with you, have you explored down many side streets? I’m loving it here. The side streets are interesting, sometimes dodgy, but always cool to photograph.